Available in a range of sizes from 770 to 1600. 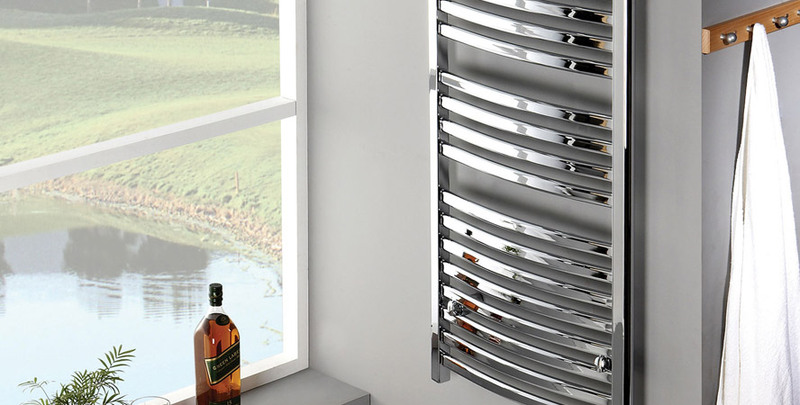 A curved, polished chrome finish heated towel rail perfect for creating a warm, relaxing environment in your bathroom. The aesthetically pleasing, fluid design provides a visually dramatic addition to any modern bathroom suite.